It’s closer than ever! 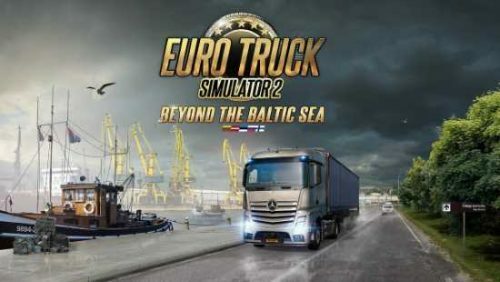 The ETS2 Beyond the Baltic Sea DLC official release date in the 29th of November 2018! After months of sneak peaks, screenshot of work in progress stuff and many blog articles, the new Euro Truck Simulator 2 is ready! Just watching the DLC trailer it looks really promising. We can see that the amount of details on the map is quite big compared to the other parts of the game map. For instance, there are many new interactive and interesting animations and scenery. So get ready, as there are just a few more days until we’ll get to explore the Baltic region of Europe. Countries that will be included: Latvia, Lithuania, Estonia, south of Finland and parts of Russia. Therefore there will be over 13 thousand kilometers to explore. You can watch the official trailer video below. After that, let us know what you’re thinking in the comments below! This new update will complete the ETS2 map a little bit more. For that reason, the old Scandinavian DLC will also be connected with this new one. Also we will be getting ferry transports over the Baltic Sea. We can say that by breaking these boundaries, SCS is taking Euro Truck Simulator 2 to the next level. The new map models, trams, new companies and everything else that’s new are creating new opportunities for the map makers. If you want to explore over the borders of the base game map, check out our map mods for ETS2. In conclusion, sit tight and wait to November 29th, 2018 for the all new ETS2 Beyond the Baltic Sea DLC! Keep on truckin’!